Antonin is a Talented Maker With Big Dreams! Thirteen-year-old Antonin is a self-taught maker who learned to use Tynker “through trial and error!” He aspires to create video games in the future, but he has other career options, too – he’s also thinking about becoming a hip-hop dancer! He loves coding because he loves logic, video games, and bringing his imagination to life. 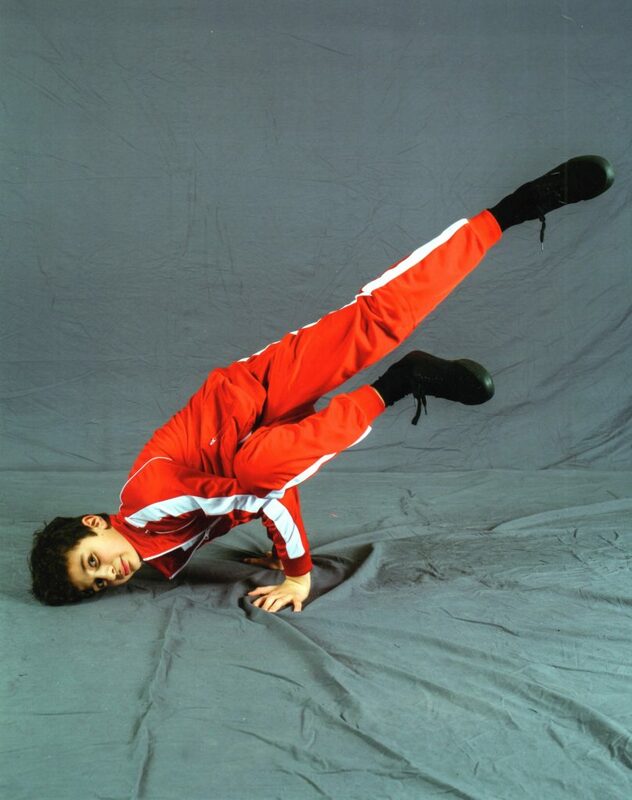 Antonin has interests ranging from hip-hop dancing to drawing to playing video games! He told us that he loves “Chinese noodles, French fries, and Nerf guns!” He’s in his first year of high school and lives in Montreal, Canada. We were lucky enough to chat with him and learned a lot about why he likes to code. Read on to learn more about Antonin – and see the great advice he gave to kids starting out with Tynker! What’s your favorite subject in school? Programming, history, and geography. How did you feel when you found out your project had been featured? I was very surprised and very happy! How did you get introduced to Tynker? It was a project for my school – we had to program a little video game. How do you get inspiration for your projects? I play a lot of video games and watch YouTubers talking about video games, so I have a lot of ideas for developing a video game. I try to put a lot of my ideas in my Tynker projects. How do creativity and coding fit together for you? Coding allows me to create my own games with my own ideas. I have the possibility to create my own characters with my own story. I can draw whatever I want! Coding allows me to create whatever I want to see in my game. Why do you like to code? It is a new language so it is interesting. There is a lot to learn, but it is very logical and I like logical things. I like the fact that people only see the final result but, in fact, there is a lot of code behind it, which can be hard or impossible for them to understand but isn’t too difficult for me. What is your favorite project you’ve made so far? I have only developed two projects so far. My favorite one was the game I implemented! The other game was more a test, so it’s still in development. What are you planning to make next? I’m currently developing a survival game. It will be a really big game! What do you do with a project when you’re done with it? Usually, I show it to my parents and friends, play a little with it and then start a new one. What’s your favorite feature in Tynker? I really like the programming boxes in Tynker. It is way easier to program compared to other programming tools like the one I used before. Tynker is more intuitive for me! How do you think learning coding now might help you in the future? Before I thought all programs, especially video games, were impossible to create for me. With my experience in learning to code, it seems less impossible for me to do it – even if I still need to learn a lot. I would like perhaps to be a video game programmer in the future, so coding really helps to make this dream more and more real. Do you think other kids should try coding? Sure! I really recommend they start small with small projects, otherwise, they could be lost and frustrated. Coding is not too hard, but you still need a logical approach. What advice would you give to kids starting out with Tynker? Start with a small project. For example, start by just displaying a phrase like “Hello world.” Then, complexify it by using features like a for loop or move your text on the string. Each time you add a new feature, test it by running your program. Eric told us that he’s there “to help Antonin whenever he is blocked by an issue, but usually, he is quite autonomous.” He went on to say “I support him greatly because I’m sure coding could help him find a very good job in the future.” Antonin is lucky to have such a supportive father! Thanks for speaking with us, Antonin and Eric! We’ve loved what you’ve come up with so far, Antonin, and can’t wait to see what you dream up next.